On the eighteenth of February, 1732, Captain Christopher Sheldon was born to Joseph Sheldon and Lydia Arnold, as one of eight children. Not much is known of his childhood, but his father was a deacon at the First Baptist Church in Providence. In 1753, at the age of 21, Christopher married his cousin, Rosanna Arnold (1733-1766). They had five children: Remington (1753-1829), Israel (1755-1792), Lydia (1757-1792), Mary (1761-1790), and Rosanna (1763-1789). He also became the guardian of his grandson Joseph Cooke, son of Sheldon’s daughter Rosanna, following his parents’ deaths. In fact, Sheldon outlived all but one of his children, his oldest son Remington. While it was not unusual for children to die in the colonial era, Sheldon’s case is unusual because all of his children survived into adulthood and married before they passed away. Sheldon’s exact address is unclear, as there are conflicting sources regarding where he lived. 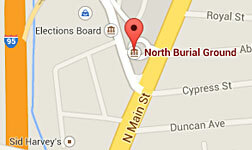 Some sources say that he lived at 369 South Main Street, a property given to him by his father. 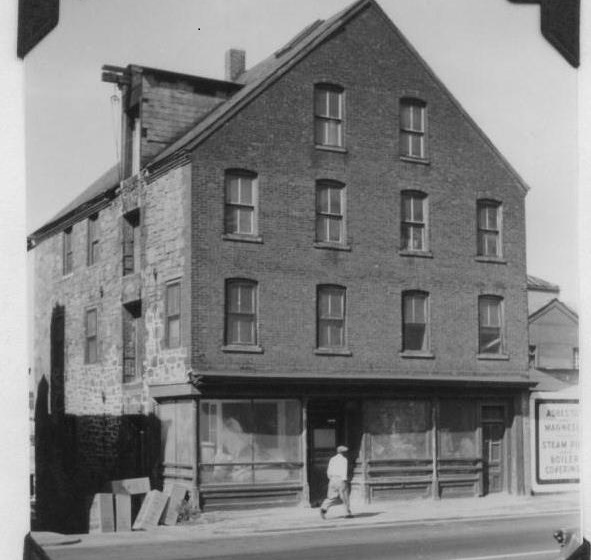 According to the Gowdey database maintained by the Providence Preservation Society, the brick and stone property included a warehouse, shop, 3 ½ story dwelling house, and a wharf. Northeast Collaborative Architects, the firm that renovated the building, asserts that the home earned nickname the “Slave Pen” for its use trading slaves. However, according to tax records, the current structure at 369 South Main Street was not built until 1815 and never belonged to Sheldon. Throughout his career, Sheldon worked for John Brown and Nicholas Brown & Co. After the French and Indian War Sheldon was the master of the Brown’s rig George from 1767-1771. His trade route was to Paramaribo, Suriname, a Dutch colony on the northeast coast of South America. Rhode Island was Suriname’s top non-Dutch trading partner during the eighteenth century. The main exports of this colony were sugarcane and slaves, which also happened to be some of the Brown’s main imports. It seems highly likely that Sheldon was involved with the slave trade because of his trading route, the nickname of his home, and his professional connection to John Brown, the only Brown brother to continue with the slave trade after his brothers had ceased their involvement. During the French and Indian War, Sheldon privateered on two of the Brown’s ships, the Dolphin and the Rosanna, both of which were captured in 1764. At the dawn of the American Revolution, Sheldon participated in the Gaspée Raid in 1772. The Gaspee Virtual Archives credit Sheldon’s involvement with the raid, likely as commander of one of the longboats, though his precise contribution remains shrouded in the secrecy that persisted after the affair. Following news of the Battle of Bunker Hill, Sheldon was appointed a gunner for the Fox Hill Battery in 1775 and as one of two officers in charge of protecting Providence from British invasion. The Journal of the Committee Appointed to Build Two Continental Frigates in Rhode Island, dated 1776, reveals that Sheldon was appointed clerk, charged with keeping track of timber, plank, and iron for building the frigates. 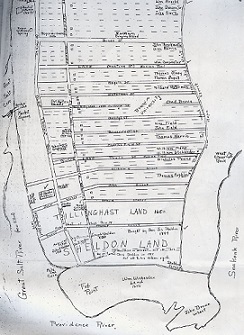 The journal also indicates that Sheldon’s wharf was used to launch American ships during the war and that he received payments for his duties as clerk and for guarding the ships in his wharf. Later, in 1777, the Rhode Island Council of War placed him in charge of the captured British ship Aurora, until August of 1778. 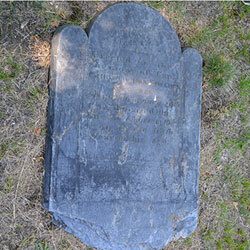 In 1778, Sheldon became a member of the Providence Town Council; he served in that position until 1781. Following the war, he also served as the 5th Justice of the Inferior Court of Common Pleas and General Sessions of the Peace in and for the County of Providence, despite his lack of credentials in law. Chidsey, Donald Barr. The American Privateers: A History, 1962. Rappleye, Charles. Sons of Providence: The Brown Brothers, the Slave Trade, and the American Revolution, 2006. Field, Edward. State of Rhode Island and Providence Plantations at the End of the Century: A History, 1902.